California Family Code § 3176 requires mediation before or concurrently with the court’s Dissolution of Marriage process when issues pertaining to minor children (under the age of 18) are involved such as child custody, support or visitation. Mediation is particularly useful to resolve disputes between or among family members, friends, neighbors or business partners. Mediation is the process to formalize in writing those matters upon which the parties have mutually agreed. 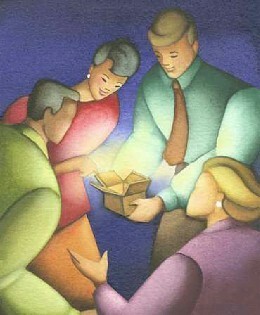 Mediation helps the parties to communicate in an effective and productive manner to reach a mutually acceptable resolution to a dispute or conflict. You may want to also consider using the mediation session to arrive at a cooperative resolution of the marriage settlement agreement regarding other disputed financial and property matters of the divorce. The goal of the mediation is to reach an agreement that both participants find reasonable and in their best interests. Please set aside two (2) hours for this mediation session. If more time is needed, you and the mediator can schedule another session. Yes. The mediator will keep confidential everything discussed during the mediation. The mediator will facilitate the negotiations of the parties. Our sessions do not allow lawyers to be present. Mediators are not lawyers and cannot give you legal advice or judgment. Each of you will have the opportunity to discuss your situation without interruption. Then, there will be an open discussion, and the mediator will help you decide which are the important issues. When an agreement on an issue is reached, the mediator will write it down and make sure it says what the parties want it to say. Both parties will sign and receive a copy to take home. Upon mutual agreement of all the important issues, the mediator will prepare the SETTLEMENT AGREEMENT for the parties to notarize and file with the court. The document is binding and contains the mutual terms of the agreement between the parties.